TOPLINE-SYSTEM is a professional constructor for various microwave rooms, such as R.F. shielded room, EMC chamber and antenna chamber. Having engaged in the business for more than 10 years, we started as an agent on behalf of foreign well-known companies and helped the Chung Shan Institute of Science and Technology build their missile laboratory. After three years, we became contract manufacturer for foreign companies to construct the laboratory. At present, about 90 percent of the R.F. shielded room is built by itself. So far, TOPLINE-SYSTEM is able to construct more than 90 percent of the R.F. shielded room by itself. In addition to the accessories such as clamping framing, finger stock, power filter and honeycomb are imported overseas, we manufactures R.F. shielded doors and shielded panels under strict quality control. The R.F. shielded room fully meets the standard of NSA 65-6. According to the test conducted by Center for Measurement Standard of Industrial Technology Research Institute of Taiwan, MHz of many R.F. shielded rooms reached up to 140dB. Besides, the EMC chamber meets the ANSI C 63.4 and IEC 61000-4-3 standards. 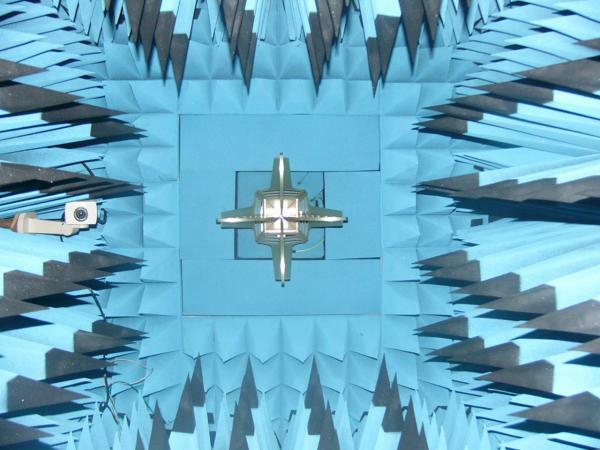 The antenna anechoic chamber adopts Velcro loop and hook to line pyramidal absorbers. Its strong fastening force and lots of successful installation tighten microwave absorber firmly. With experiences in installation and strict engineering, we commit to making the shielding effect of R.F. shielded room and reflectivity of laboratory 20% higher than that of the others by using the same construction materials. If quality is more important than prices is your requirement, our products will satisfy you. On the contrary, if price is your top concern, we will disappoint you. We offer products performed better than well-known companies with moderate price and better, fast service. After taking a look at our construction procedure, you will know how a superior laboratory is built. We guarantee that the worth of the laboratory is higher than how much you paid. Sales Achievements .Electronics Testing Center. .Center for Measurement Standard of Industrial Technology Research Institute of Taiwan. .Academia Sinica. .Electric Power Test Center. .Eva Airway. .Corona Chamber. .Garmin. .R.F. shielded room for Chung Shan Institute of Science and Technology's Communication System and several Microwave Anechoic Chamber. .Naval Tacan Radar Laboratory and several Microwave Anechoic Chamber. .Chinese Army Academy 10M Antenna Test Chamber and EMC Chamber. .National Kaohsiung Institute of Marine Technology Antenna Laboratory. .China Institute of Technology, Hsinzhu Campus 10M Antenna Test Chamber and EMC Chamber. .Taiwan Businessmen in Dong Guan, China. .Soochow University. .Dalian Daxian Group. .DongGuan GBM Group. .Suzhou University.